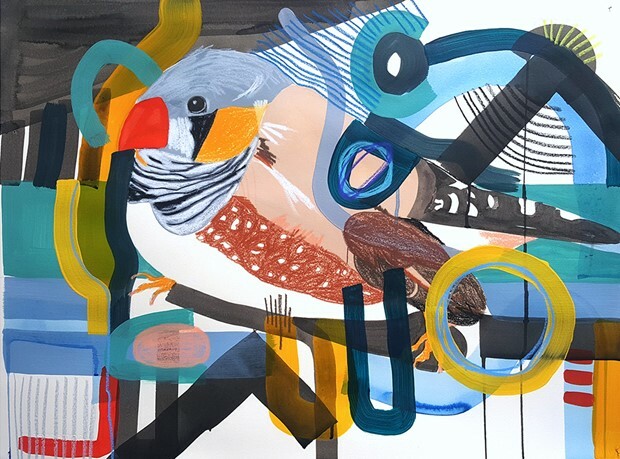 Lucy Stevens’ art practice examines the acoustic ecology of the natural environment using field recording, digital illustration, drawing and printmaking as a tool to better understand the diversity of bird species and the wider issues of biodiversity. 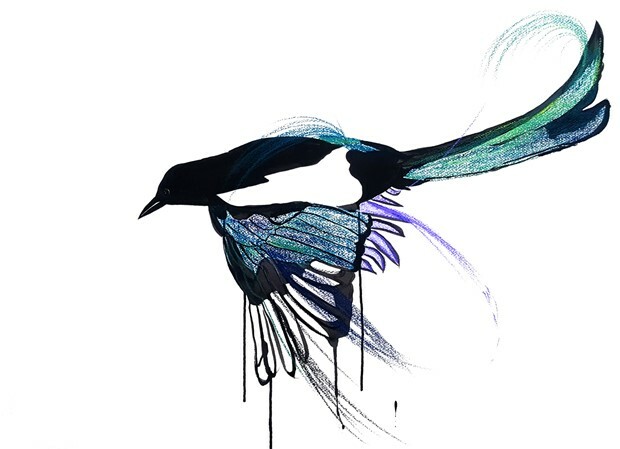 The work explores the relationship between humanity and nature; including the notion of connectedness and the desire to communicate, interpret and understand bird behaviour through visualising birdsong. Lucy Stevens is an artist whose environmental soundscapes and visual art investigate the relationship between humanity and nature. Working with field recordings, digital illustration, photography, drawing and printmaking to reveal the fascinating behaviour of wildlife and the diversity of species; through the process of listening, observing, responding and recording. 2017 – 2018 Walker & Bromwich: An Act of Participation. The Art Lending Library at The Gallery, VJ Patel Building, De Montfort University, Leicester. 2016: ‘Corn Bunting’ and ‘Curlew’ as part of The Red Species List concert have been selected for the Midlands Printmakers Open 2016 at The Henderson Gallery, Nottingham. 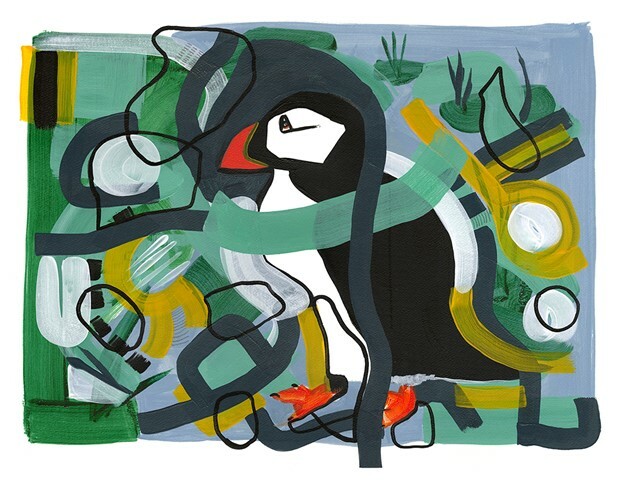 2016: Red Fody and Herring Gull, Hammerkop and White-faced Whistling Duck and The Swithland Wood Recordings have all been selected to be exhibited at New Walk Museum’s Open 27 Exhibition. 2016 Concrete Nature, ‘Red Fody and Hammerkop’ and ‘Feral Pigeons under Lancaster Rd bridge’, monoprints and ink at BIRDscapes Gallery, Glandford, Holt. 2016 International Postcard Show, Surface Gallery, Nottingham. 2015 Concrete Nature, ‘Red Fody and Hammerkop’ and ‘Feral Pigeons under Lancaster Rd bridge’, monoprints and ink at Stamford Arts Centre, Lincolnshire. 2015 Unheard Voices, multi channel sound piece (with live vocalist) diffusion performance for Hear This Space concert at New Walk Museum, Leicester. 2015 Pigeon Clock Graph and Pigeon Feather Pie Chart, digital prints exhibited as part of Dave’s Leicester Comedy Festival at Manhattan34, Leicester. 2014 Representing Birdsong: The Swithland Wood Recordings, Passion2Print exhibition, Leicester Print Workshop at LCB Depot, Leicester. Music used as part of The Spark Festival at Attenborough Arts Centre (2015) and as part of Indian Summer at LCB Depot and Orton Square (2015). 2014 Oil Spill Digital print for ‘Web of Water’ touring exhibition, including: The Atrium Gallery (ICCA) in Nottingham, Carsington Water in Derbyshire, Sharpes Pottery Museum in Derbyshire, Artcore Gallery in Derby, Curve in Leicester and Deda in Derby. 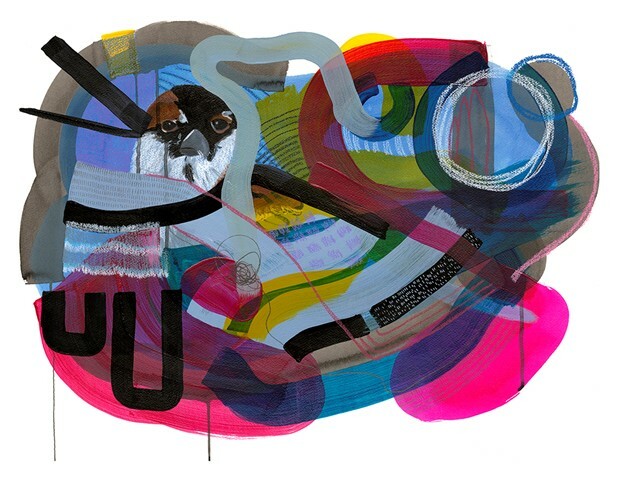 2013 The Magic Voice, digital print for ‘Museum Metamorphosis’, exhibited at the School of Museum Studies, University of Leicester. 2012 Egg 1-4, silver gelatin prints, Vesch ‘Objects with a soul’ as part of Lo-fi photography group at Gallery 12, QE College, Leicester. 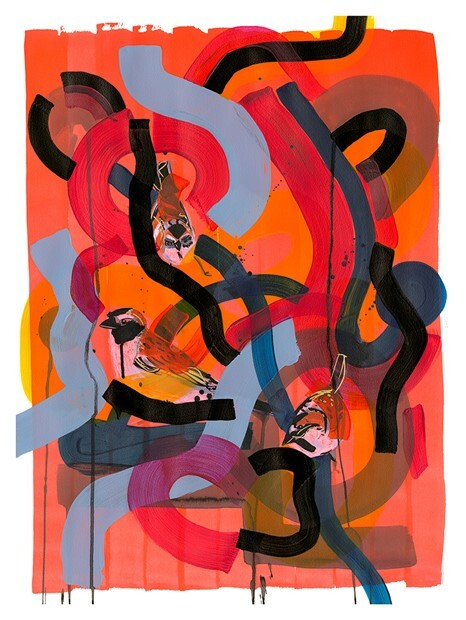 2016 Leicester Print Workshop award winner (£100 voucher) for ‘Corn Bunting‘ monoprint (as part of The Red Species List concert), exhibited as part of the Midlands Printmakers Open 2016 at The Henderson Gallery, Nottingham. 2016 Van Haulin’ award winner (£100 voucher) for ‘Corn Bunting‘ monoprint (as part of The Red Species List concert), exhibited as part of the Midlands Printmakers Open 2016 at The Henderson Gallery, Nottingham. 2015 Self-directed residency at Fermynwoods Contemporary Art Sudborough Green Lodge, Northamptonshire. 2015 Stevens & Frize concise bird guide, slideshow with birdsong and electronic birdsong sound recordings, shown at The Ugly Weekender with Dirty Electronics as part of Reactor Halls at Primary, Nottingham. 2014 ‘Oil Spill’, Artcore: Web of Water exhibition catalogue. 2009 Lucy Stevens Walk With Me catalogue, Nottingham Castle Museum & Art Gallery featuring ‘Listening in and looking out’ essay by Joanne Lee (artist and writer and senior lecturer in Fine Art at Nottingham Trent University). 2016 ‘How to … protect nature through performance’, an advice piece to share tips for using art to communicate environmental issues, Arts professional online article. 2016 Dawn chorus, The Verb, BBC Radio 3. A section of The Swithland Wood Recordings were played by guest and sound recordist Geoffrey Sample (27 May 2016). Feb 2017 – current Marketing Executive, College of Science & Technology for the School of Animal, Rural and Environmental Sciences, Nottingham Trent University. Feb 2016 – Feb 2017 Marketing Officer, Attenborough Arts Centre, the University of Leicester’s arts centre. July 2010-Jan 2016 Marketing Communications Assistant, Embrace Arts, the University of Leicester’s arts centre. 2005- 2008 Project Manager and Marketing Assistant, 27a Access Artspace, arts and disability charity, Leicester. 2006- 2008 Cultural practitioner and arts tutor, galleries, schools, young people’s services, creative partnerships and mental health services. 2003- 2008 Education Leader and administrative assistant, The City Gallery, Leicester.